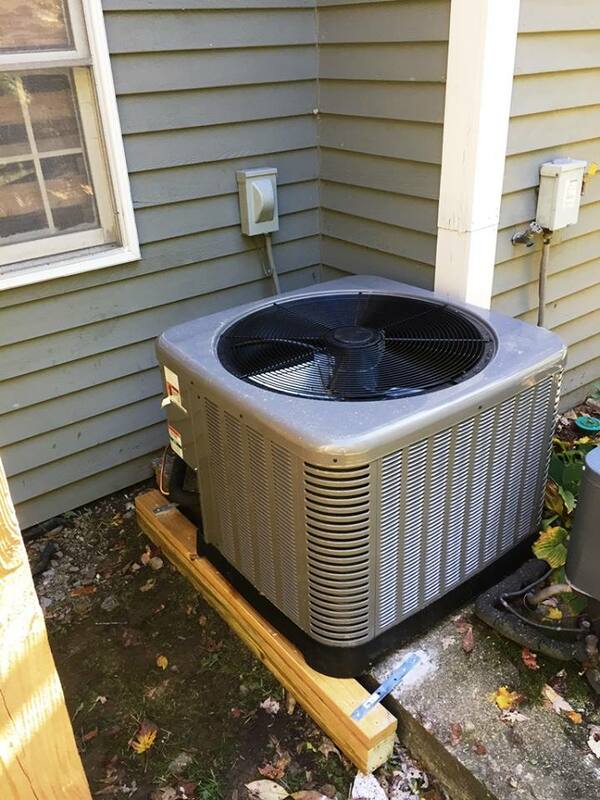 If you are in need of air conditioning maintenance services in Tewksbury, MA you can rely on Affordable Heat & Air to make sure your system is running properly. We handle everything from AC installation to repair, and we provide a comprehensive range of services that will keep your family warm during the winter and cool during the summer. 24/7 emergency AC repair and service. We never charge for overtime. Sales of brand-name air conditioners. If your AC needs to be serviced, you can be confident that our air conditioning service experts in Tewksbury will provide you with the service that you need. If you are searching for a reputable air conditioning service company in Tewksbury, MA along with access to the most recent heating and cooling units that are available, contact Affordable Heat & Air today to make an appointment. We have installed many leading brands since 2005, including Goodman, Rheem, Lennox, and Carrier. Also, we are your number one local area shop for ongoing maintenance and qualified installations. A bad start can all too often reduce the performance of your system and increase the need for ongoing repairs over the lifetime of your HVAC equipment. Let Affordable Heat & Air do the job right the first time, so that can rest assured knowing that all of our technicians are fully capable and factory-trained. In addition to smart home features and improved cooling, the latest units also come with extras that help to reduce your carbon footprint and bills. Speak to one of our sales staff members about air filtering, humidity control and other advancements that are available for your business or home. Do you own an air conditioning system that is over 10 years old? If you do, then you might want to consider getting a new model to replace it. New systems will not only provide you with improved de-humidifying and cooling, but they can also help to significantly reduce your utility bills. Affordable Heat & Hair is the leading Rheem, Trane, and Carrier dealer in Massachusetts and provides the most energy-efficient and latest systems at affordable prices. Check out the new air conditioners that we offer online and then give us a call to meet with one of our team members. Customers receive a quote within 10 minutes and then an installation within the next couple of days. Do you want to ensure that your present AC system will be long lasting? Affordable Heat & Air offers a wide range of preventive air conditioning services so that our system continues to function properly. From blowers to safeties to cooling to compressors, and everything in between, our team will evaluate all of the components and parts of your system in order to get your AC protected and maintain the comfort of your family. We also provide detailed explanations. That way you will know exactly what is wrong with your system before having to commit to any repairs. There are numerous steps that are involved in keeping an AC system maintained all year long. Installing a brand-name system in your business or home is not sufficient – you also need to make arrangements for tune-ups on a regular basis with train professionals. At Affordable Heat & Air our team offers quality AC maintenance services at an affordable price in Tewksbury, MA. We use a 20-point comprehensive AC tune-up checklist in order to ensure that your system remains functioning properly all year long, and so that your equipment continues to run at peak performance. In addition to checking the fans and compressors, we will lubricate any moving parts that need it, and wash and change all filters. Our main goal is extending your unit’s lifespan while also lowering your future monthly energy expenses. Our 20-point plus tune-up service goes above and beyond by providing additional adjustments and checks to equipment outside and inside of your property. We have three different maintenance packages that are available for you to choose from so we are sure to have the perfect plan for you. Also, keep in mind that additional benefits that an Affordable Heat & Air maintenance plan provides you with. Prioritized scheduling and service discounts mean that you will save time and money anytime you are in need of repairs. In addition to Affordable Heat & Air providing regular maintenance services, our team is all prepared to handle all of your emergency HVAC needs in Tewksbury, MA. We are available on a 24/7 basis with fully-equipped HVAC trucks, and also provide service quickly with no overtime charges. This is very important since mechanical problems that go undetected or ignored frequently turn into more serious problems. Get repairs schedules as soon as you are aware that you have a problem to avoid complete system failure. You can rely on us to keep your HVAC system functioning properly and keep your family cool all year long. Affordable Heat & Air is a leader in air conditioning services in Tewksbury, with over 14 years of experience in the industry. Whether you need a more energy efficient new system or expert AC services whenever your unit is broken, our local team can meet all of your needs. With fully-equipped HVAC trucks that are ready to go, we can arrive quickly. We here at Affordable Heat & Air are very proud to offer high-quality air conditioning services at affordable prices that will not break your budget. Due to our highly trained service team that we have available, you can rest assured that we will be there whenever you really need us. Give Affordable Heat & Air a call at (978) 667-8122 or contact us online to receive our 24/7 AC service that exceeds expectations at all time. We look forward to becoming your number one choice for AC service and sales. Stay more comfortable and save money in Tewksbury, MA with our affordable preventive AC services. For more information call us at (978) 667-8122 or contact us online in order to get your service scheduled with our professionals.